The Smoothest Show on This (or any other) Planet! … on the current show, it's keyboardist Tony Vattimo in the spotlight. 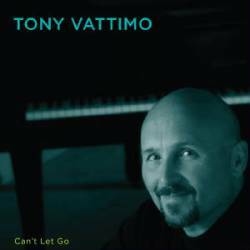 Based in Philadelphia, The City of Brotherly Love, Vattimo has released Can't Let Go and that'll be the feature cd on our showcase marquee. Then in hour 2, it'll be time to kick it old skool with the Back Trax segment. On this occasion, we have bassist Mark Egan and from the 70s Brian Auger's Oblivion Express; plus there's Rob Tardik, Bebel Gilberto, and The Didgeridoo Project led by Germany's Thomas Fuchsberger - in total that'll be as compelling a set as we've ever posted on our biweekly excursions into the musical time tunnel. Then later in the hour there's music by Jonathan Fritzén and Brian Bromberg, we have Marion Meadows and Peter White; while featured thru out are the likes of Brian Culbertson, Lonnie Liston Smith, and Daniel Domenge. But as we buckle up for the smoothest show on this or any other planet, there's a tune from Anthony James Baker! Philly native Tony Vattimo started on organ at the age of 12 - he took up trombone while in high school and for a time he also trained classically on piano. 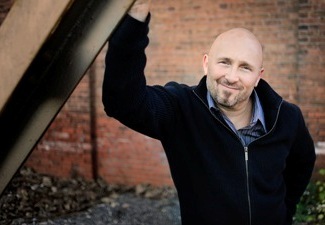 While pursuing a degree in music education at West Chester University, Vattimo performed with the college jazz band and then after graduating, he taught for a year before gigging on a full time basis. A seasoned performer and composer, Vattimo has worked as a staff writer for music library companies on both coasts. His music has been featured on the Maury Povich show while additionally Vattimo has acted as the choir director and organist at his church. He's played the vibrant Philadelphia and New York scenes for many years and has appeared regularly at regional hot spots such as Gerald Veasley's Jazz Base night club to along with performances at The Berks Jazz Fest. Having been urged by family, friends, & fans to record on his own, Vattimo committed to a project that became a year-long labor of love! Issued just this past year, Can't Let Go consists of 11 original compositions for which Vattimo drew inspiration from the ocean, the island of Kauai, and from the sites and sounds around him. With a resume that encompasses a diversity of experiences, it's not surprising that Vattimo has command of a wide range of styles - from straight ahead to a more funky urban vibe - and it's this versatility that's well reflected on the disc! The project was recorded at Vattimo's studio in Collegeville just outside the City of Brotherly Love and then engineered by Grammy nominated Martin Walters down in Jonesborough Tennessee. Enlisting some of the area's top talents, Vattimo is backed by up to 9 musicians at a time, and in a phrase, the project is not only a rock solid first effort, it's also an early bet to be among the elite in 2010! Therefore it's now our pleasure to ease album and author into the soft sheen of the showcase spotlight as we headline our proceedings with a trio of sumptuous selections. Initializing our review is Street Lights, an elegant mover that nicely simulates a late night cruise on the town. The reflective title track leads the way in hour 2, while To New York is a spirited shout out to one of Tony's favourite cities. Running a gamut of flavours and textures, when Tony's melodies grab you as they surely will, you just can't let them go! 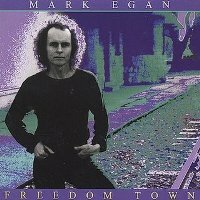 Although his first instrument was the trumpet, Mark Egan switched to bass when he was 16. He built made a bit of a name for himself while playing with noted saxman Ira Sullivan in the mid 70s and in about 1976, he moved from Miami to New York where he toured with David Sanborn & The Pointer Sisters. For 3 years at the tail end of the 70s, he joined Pat Metheny's group and he then went on to work with a litany of jazz legends including Stan Getz, Jim Hall, and John McLaughlin. He co-founded the band Elements that recorded thruout the 80s and 90s all while doing numerous studio sessions and recording on his own. From the 2001 Freedom Town release we have a tune for you today - called Habanero Nights, saxman Bill Evans guests on the track - habanero by the way being a type of red hot pepper recorded as being one of the zestiest peppers on the planet! The master of the Hammond B3, Brian Auger, grew up in London during the Second World War and learned piano by copying the melodies played by an autopiano player that his family owned. When their home was bombed, Auger was evacuated and lived with another family for a couple of years - they too had a piano, a fact that helped ground Auger during what must have been a very trying time. Once back home, Auger would entertain the neighborhood. He knew all the pop tunes of the day but when he started listening to his brother's record collection he became fascinated by the patterns in jazz. By 1964, he won the Melody Maker jazz poll and intrigued with technique of Jimmy Smith, he took up the Hammond B3. After a few varied experiences, Auger made his record debut in 1967 with Julie Driscoll and Trinity on a French release - that led to a hit in This Wheel's on Fire and performances at both Montreux and Berlin - jazz festivals that had previously been the exclusive purview of straight ahead projects. The response was overwhelming! Several more critically acclaimed Trinity releases followed with a tour of the US before Auger progressed to his next and perhaps most successful project in Oblivion Express. By the time the ensemble had issued Closer To It! their fourth release, Auger had taken his organic blend of jazz-rock fusion to unprecedented heights! 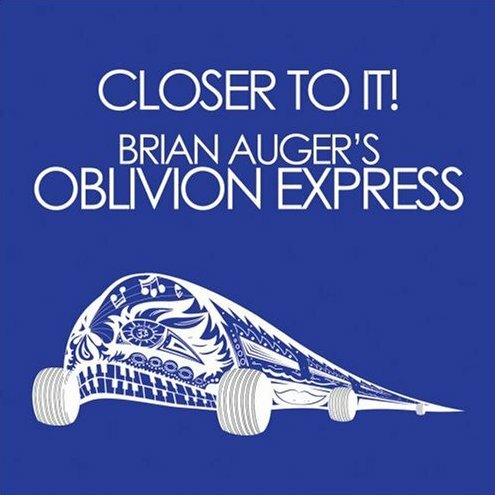 From that album recorded nearly 40 years ago, we have Auger on organ and vocals on a classic. This is the stuff that legends are made of! 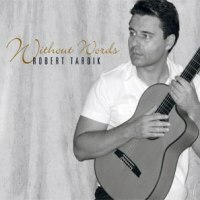 Toronto-native Rob Tardik has been playing guitar since he was seven. He was awarded a music scholarship in high school and then went on to study at York University earning diplomas in Record Engineering and Media Arts. For several years, he's worked for Roland Canada as a guitar product specialist while edifying aspiring musicians at the Merriam School of Music for the past 11 or so years. In 2006 Tardik issued his debut, and subsequently he's been a regular performer at the CSJA. Now four years after that initial effort, Tardik has issued his second release in The Right Time which sees him as a contender for his own Canadian smoothie. On this occasion however, we take the opportunity to do a bit of back tracking by revisiting his premiere cd - from that release we while away a few blissful moments with a tune called Summer Time! She was raised in a highly musical family, her father being the noted bossa nova singer/songwriter & guitarist João Gilberto while her mother was vocalist Miúcha. 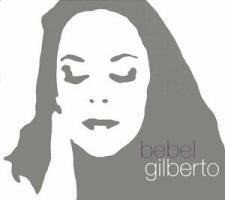 Isabel (Bebel) Gilberto made her debut when she was just seven singing on her mother's first solo album and then just two years later, she appeared at Carnegie with Miúcha and Stan Getz. After sharing top billing on an '83 project, Gilberto eventually premiered with own eponymously titled release in 1986. In 1991, she relocated to New York, where she'd been born, and began gigging in clubs and working with the likes of David Byrne. Soon after, she began a shift toward dance music with a bossa flair. After appearing on a single by Thievery Corporation, Bebel performed at Carnegie Hall once again, this time with her father. The release of Tanto Tempo in 2000, introduced her to an American audience - the project went on to earn a pair of Latin Grammy nominations and marked Gilberto's coming of age as a headline performer. From that very effort, we have the suave, stylish, and slightly chilled melody of the title track! After studying at the Richard Strauss Conservatory in Munich and at Berklee in Boston, German-born Thomas Fuchsberger sessioned in Nashville Tennessee back in 1979. Shortly thereafter, he returned to Europe whereupon he made the German finals in the Grand Prix de la Chanson. Subsequently, he landed a record deal and embarked upon a series of single and long-play releases. Setting up his own production studio, Fuchsberger wrote ads for TV while scoring documentary and film soundtracks. Since 1972, he's travelled the world as a photographer of some repute while he's also published a cook book for diabetics. 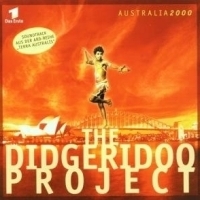 As one of his most intriguing ventures, Fuchsberger was the brain thrust for The Didgeridoo Project and the disc Australia 2000. Featuring didgeridooist Adrian Mears and guitarist Jay Fletcher, Fuchsberger stars on keys on an undertaking that fused the sounds of the Aboriginal instrument with some of the finest Teutonically-inspired grooves ever heard. The music was used on German TV during their coverage of the 27th Olympiad in Sydney - and from this most uncommon cd we now present a hip amalgam that's titled Didgerigroove! All New Music: … the focus falls on previously unplayed music with a dozen selections totally new to the show. Included in this batch of fresh listening, we're providing a bit of a sneak peak at a few tunes that are under consideration for upcoming Fresh Trax or showcase segments. Here's a quick run-down of today's line-up - in the opening set are Chris Standring and Gregorie Howard and they're followed by Larry White and Italy's S-Tone Inc. For the second inning, we have Burt Shur & Chuck Leichner as Vision Jazz - also appearing are Richard Chadwick and Pamela Williams the first lady of sax; as well there's the band Wine & Chocolate. Then for the closing frame, we've cued trombonist Steve Baxter - Steve has a great release called Sugar on the Bone and from it, we'll have a track featuring Everette Harp. We continue with JD Daniel and The Parlett/Colah Project and then there's Ken Navarro with the closing selection. So mom & dad, better grab the kids, cuz it's time again for the whole family to gather round the ol' radio!